For additional information about this book, visit the website www.newkidcentral.com. Tilton knows what it’s like to move around. From the time she started kindergarten to the day she received her diploma, she attended eight different schools—three elementary, two junior highs, and three senior highs. She made plenty of “new kid” mistakes … but you don’t have to. 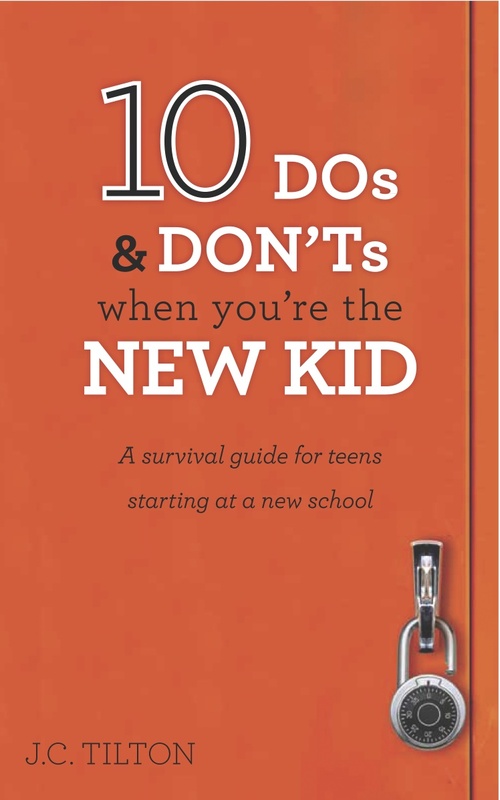 10 Dos & Don’ts When You’re the New Kid: A survival guide for teens starting at a new school will guide you every step of the way. With chapter titles such as “DO what you (and your parents) can to make your first day easier,” “DON’T over-share,” and “DO know your audience,” Tilton’s helpful hints and insightful suggestions will ease you through those awkward first days (or sure, maybe a couple weeks) of feeling that everybody knows and likes everyone else—except you. Written with warmth and humor and more than a little excellent advice, 10 Dos & Don’ts When You’re the New Kid is a concise and easy-to-reference volume that will have you feeling better about your new situation from the very first page. J.C. Tilton is a freelance writer, speaker and semi-professional re-locator. She is also the author of 10 Dos & Don’ts When You’re The New Kid, a survival guide for teens starting at a new school. She lives (for now!) in Los Angeles, CA, with her husband, two kids and one very stubborn Rottweiler.